Underpinning Melbourne -provide expert Home Underpinning & Foundation repairs Specialist. Call 0393 572 826 for FREE underpinning quote! Underpinning Melbourne – the most affordable solution for all kinds of building foundation associated problems in Melbourne. If you see cracks in your walls/floors, a misaligned window/door, sinking floor, or any such unacceptable change in your building then probably you need underpinning services. We are specialists in strengthening foundations and stabilizing building structures with our cutting edge technology, highly advanced tools, and skilled expertise. Underpinning Melbourne works to give you complete peace of mind with our out of the world underpinning experience by giving your home/office a rock solid foundation. Our target is to keep your life simple by making your buildings sturdy. We deliver our exceptional underpinning services at a reasonable cost so that saving your home/office does not cost you a fortune. Call us to know more about us and our services! At Underpinning Melbourne we aim to make the foundations of your homes and offices stronger and firmer. Any building made of concrete slabs and brick veneer walls is bound to lose its strength gradually. The tight alignment of the brick veneer loosens up and you see cracks in the slabs. This needs to be resolved with the help of expert underpinning supervision. Our specialists prop up the cracked and sinking slab using heavy jacks. Once done, we pour concrete around the jacks for proper brick alignment to improve the stability and strength of the building. We provide professional Foundation Repairs solution in Melbourne. When salt and moisture lead to some kind of damage in a building it is known as salt damp. The usual signs are bubbly paint, failing mortar, or gassy plaster. You may even notice some kind of bad smell with these signs that clearly indicates that something is wrong with the wall material. Underpinning Melbourne offers guaranteed salt damp removal treatment for domestic and commercial buildings. We use undersetting process that involves removing the damp manually from the damaged parts. After that our cleaners use plastic dampcourse under the building to create a water proof barrier for future protection from salt damp. We then build the wall on the same plastic as the foundation. With this treatment, you can paint your building as soon as we place the plastic dampcourse. Restumping/reblocking is similar to underpinning with only one exception that we completely replace the stumps in this case. The foundation of the building is dug out using heavy jacks and cracked stumps are replaced with new concrete stumps. At times restumping may cause some damage to the floor or walls of the building but with Underpinning Melbourn experts you can relax. Our team ensures to fix up any damage caused during the process. Poor construction of a building can lead to many problems for the inhabitants. Sinking floor is one of the major issues caused when the floor of a building has not been installed properly. In addition that, excess moisture can cause sinking floor because it causes rotting of the joists and sagging of the beams. You can check for signs of sinking floors on your own by looking underneath the floor. If you see the floor bowing in the middle then you are witnessing trampoline effect that needs immediate attention from underpinning experts. Our services include repairing of cracked walls too. At Underpinning Melbourne we are equipped to repair all kinds of cracked walls. Cracked walls can be caused by leaking taps, unexpected weather scenarios, bad construction, unattended plumbing issues, and so on. Cracked walls make your home/office look ugly and can also prove to be fatal. Our experienced underpinners will find our the exact problem and deliver the finest solution for cracked walls at the most affordable price in Melbourne. Planning to get your floors replaced? At Underpinning Melbourne we assure you the best of quality at the lowest price. With advanced flooring techniques and finest tools, our flooring solutions are bound to leave you completely satisfied. Apart from floor replacement, we also deal in stain removal from floors and recoating the existing floors. Settling of the concrete stumps in any building can lead to many issues, such as cracks, loose floors, jammed doors, and uneven floors. Underpinning Melbourne offers affordable re-leveling services in which we use hydraulic jacks to push up any specific areas of the floor. Once done, we use a plastic packing system to support the floor and bring it to the new level. This packing system is placed over the present concrete stumps. Underpinning Melbourne professionals have expertise in subfloor installation and subfloor repairing too. If you see any particular damage underneath the floor or tiles then it is time to get subfloor repairing done by the experts. We nail processed wood to the joists beneath the floor to repair subfloors. Additionally, we also install new floorings to any domestic or commercial building. Underpinning Melbourne is available round the clock to deliver you with restumping, reblocking and underpinning services anytime you need. Our professional contractors can asses the amount of damage suffered by the house foundation and deliver the required repair services. Our restumping, reblocking and underpinning services are available for you at affordable costs. We make sure that you the best underpinning services without thinking about wasting money. We follow no compromise policy when it comes to the quality of the service. Avail the benefits of this affordable underpinning service today and get guaranteed results delivered fast. 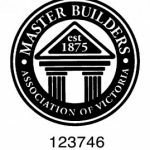 Underpinning Melbourne is a registered building practitioner of Melbourne. Call us for free consultation, to know more about our underpinning solutions, and to ensure that your home/office building is absolutely safe and sound!